French fashion icon Hubert de Givenchy has died at the age of 91. His partner Philippe Venet, a former haute couture designer, confirmed the news to the AFP. 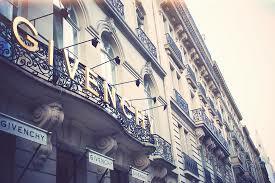 “It is with huge sadness that we inform you that Hubert Taffin de Givenchy has died,” he said via the fashion house. The designer’s nephews and nieces, and their children, share Philippe Venet’s grief, his statement added. Hubert de Givenchy created famous looks for Audrey Hepburn, Grace Kelly and Jackie Kennedy. He was perhaps most famous for creating the iconic “little black dress” worn by Audrey Hepburn in the opening scene of Breakfast at Tiffany’s. The friendship between Hubert de Givenchy and Audrey Hepburn endured for 40 years, and helped cement his place in fashion – and cinema – history. Audrey Hepburn became his muse, and he designed her suits and woolen dresses for the musical Funny Face in 1957, and the light-hearted heist caper How to Steal a Million in 1966. Hubert de Givenchy came from an aristocratic background, and worked alongside the then unknown Pierre Balmain and Christian Dior after World War Two. He was employed by the avant-garde designer Elsa Schiaparelli before leaving to found his own fashion house in 1952. There he introduced the concept of “separates” – blouse, skirt, jacket and trouser combinations that could be mixed and matched. Hubert de Givenchy, who stood at a towering 6ft 6in, won instant acclaim for his first collection at the age of 24. He swiftly ventured into menswear, and moved to New York to consolidate his success. There his celebrity customers included First Lady Jackie Kennedy, who wore one of his designs to President John F. Kennedy’s funeral in 1963. Grace Kelly, who would become princess of Monaco, was another famous client. Hubert de Givenchy had asked that his friends and admirers make a donation to the children’s charity UNICEF in his memory, instead of sending flowers.